· Bulk Back-up & Restore apps that are not used frequently to save more space .It is a appsaver and APK backup restore assistant. · Auto Back-up & Restore multi-versions to avoid unnecessary or dissatisfied updates. · Batch Back-up & Restore your apps to enhance data security. · Customize Back-up & Restore apps to create your own local appstore and transfer & share apps to others. · Apk Extractor – Extract & Retrieve apk files and export as duplicates. · Apk Editor – Downgrade app versions if you dislike updated ones. · Apk Installer – Receive & Restore & Recover apks after factor resetting or in a new device. · Apk Assistant – Create your own local Playstore. · Apk Sharer – Migrate & Send apps to different devices. 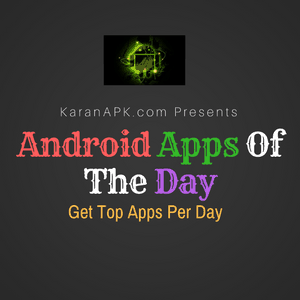 Receive apps from other devices while traffic is limited or the network is not in good condition. · App Backup & Restore CANNOT backup/restore data or settings of apps, it only backup/restore apk files. · App Backup & Restore is a APK, Game Extractor that can only restore apk files that have been backed up BEFORE. · If you want to auto backup apps, please open our app before updating apps. · Please backup apps to sd card or cloud before factor resetting, or backups will be removed due to system restriction. · For some devices, our app backup & restore cannot support SAF permission so it cannot switch to SD card. Please try with Backup Restore – Apk Extractor.